If you look at our previous articles regarding Chinese labour laws, you’ll find the rights of the employee in China are respectably comprehensive, as long as they are honored by the employer. But if you’re working on an improper visa, you’re without any legal protection. Never forget that. This article is only applicable to those who are legally working in China. The Chinese labour laws apply to both foreigners and Chinese nationals alike, with no distinction. China may be a capitalist’s dream today, but never forget that the core ideology is communist. That’s why the labour laws are comprehensive (to protect the workers), and firing employees is not an easy process. There are many similarities between China and most of western Europe in this regard, but the labour laws here are decidedly more rigid than those in the US. When you’re laid-off in China you’ll receive a 30-day notice and statutory severance pay. Depending on the reasons for being laid-off, you may or may not need to work these 30 days, but you will be paid for these 30 days, regardless. The severance pay is calculated by your average salary for the last 12 months and how long you’ve worked for the company. Keep in mind that as an employee you hold a lot more power than your employer. If you decide to fight your termination and take the case to court, you have a high chance of winning. If the court rules in your favor, you can have your job back (if you still want it) or quit. If it’s the latter, your employer would have to pay you twice the amount of your regular severance pay. Winning. The last reason could encompass, for example, if you work for a company that loses its biggest client and is unable to replace it with a new one. You’re still able to fight the decision, but ask yourself if it’s worth it. You might keep your job but lose an otherwise good relationship with your employer, only to see the company go bust in a few months anyway. Redundancy is another lawful way of being laid-off when working in China. 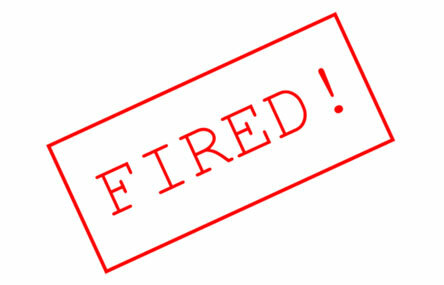 It differs here from many other countries, however, as redundancy-related termination is only allowed if 20 or more employees are laid-off at the same time, or less than 20 employees, if it constitutes more than 10 percent of the entire workforce. Yes, it does sound just as absurd as it is. But the law was written in a different time and doesn’t really translate all that well to contemporary corporate China. If you feel cheated, chances are you probably have been. The bar for terminating employees in China is incredibly high. 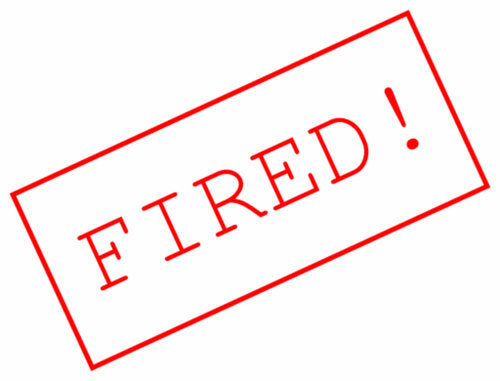 Unless the company is downsizing due to “objective circumstances”, it’s pretty much impossible to fire someone, unless they’re suspected or convicted of a crime. Any other reason would typically fall under the unlawful termination category, which can and should be fought in court. This is a fight you would likely win, much to the dismay of your employer. Severance pay is statutory, but there are a couple of important caveats to keep in mind. First, you need to have a work permit to be eligible for it. Everything you do professionally in China is not recognized in a legal sense until you have your work permit. That means that even if you work for eight months while processing your visa/work/residence permit, your would-be severance pay will only be calculated from the day you receive your work permit. Of course, it goes without saying that working in China without a work permit is illegal to begin with, so this should be a no-brainer. The second thing to keep in mind is that severance pay is only paid if you’re laid-off. Thus, if you willingly resign from the company, you will receive nothing at all. The labour law states (which in extension means how most lawyers would interpret it in an arbitration process), that whoever initiates the talks (resignation versus termination) will be the one that the decision follows. That means you should never resign if your company is about to go bust. Just wait it out and you might get laid-off instead, leaving you with all the benefits you wouldn’t get otherwise. Severance pay is calculated by your average salary for the past 12 months and how long you’ve worked for the company. One year equals one month’s worth of severance pay. If you’ve worked at the company for six years, you’ll get six months of severance, and so on. If you’ve worked for less than one year, you get one month, and half a month’s salary if you’ve worked for less than six months. But do keep in mind that if you’re still on probation (usually 3-6 months, but can differ) when you’re laid off, you get no severance pay at all. Employees on probation are not even given a 30-day notice period -- instead they get three days. They are, however, offered the same legal protection from losing their job as regular employees, making is difficult for you to be laid-off regardless of whether you’re on probation or not. Severance pay can be negotiated, too. If you want to keep your company laptop or your work permit for an extended period, for example, you can negotiate with your employer by lowering the amount of severance pay. Just make sure it’s written into your termination contract. b) your employer is not a legal employer. Make sure you choose a good employer and do your part to keep it on the legal side of things. If you do, you’ll land softly should you ever be laid-off while working in China. Fought in court, good luck! Important to note this only applies if you are under contract. Most employees earning little are not under contract.